Please note the seamless module will only work on Paypal Pro account merchants. 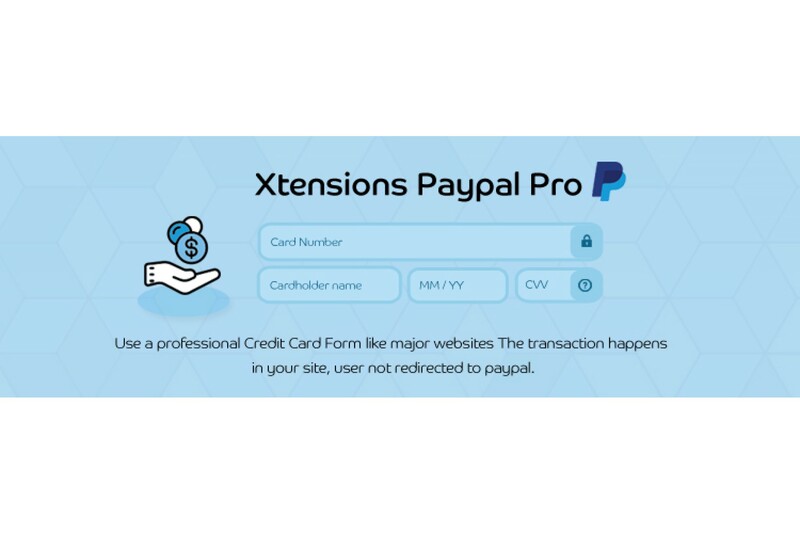 Paypal pro is charged at 30USD per month by Paypal. Use Payment module integrated in your site and user will never leave your site to Paypal. Visa, Mastercard, American Express and Discover and Maesto cards supported. No role of Paypal the processing happens in your site at the time of checkout. Note: SSL certificate is advised to use any seamless module in your site, however module will work without SSL certificate. Paypal Pro In Site Payment using Credit Card with all validations.